Yarn: Oxford Kitchen Yarns Sock Yarn – 1x100g Skein undyed. Hopefully it’ll be a handy, small and light cover for Aliki’s little boy this summer. 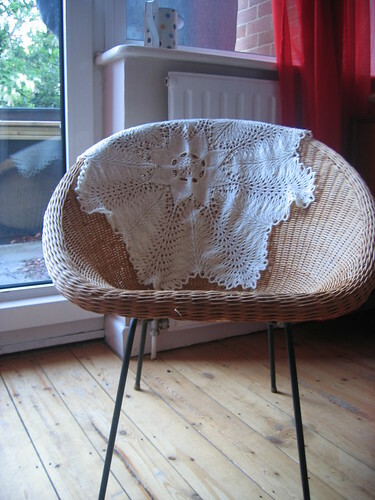 That looks gorgeous, especially in the undyed and on that chair!